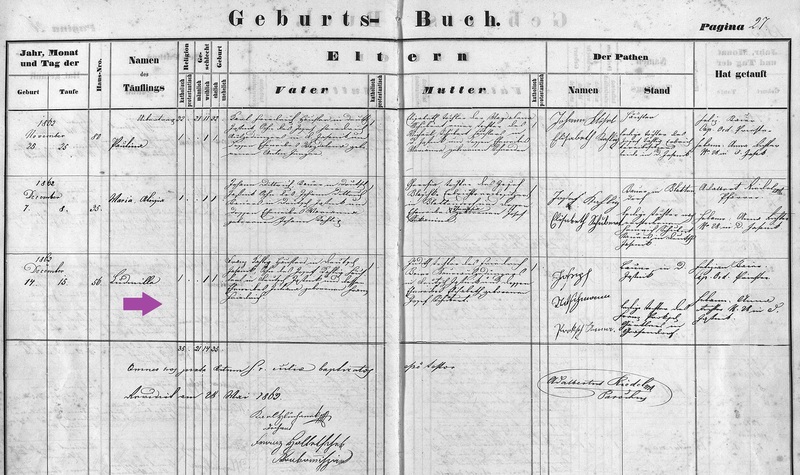 Marriage Record of Franz Kahlig and Judith Beyer. The Kahlig family settled in rural Mercer County, Ohio and ran a farm. Around 1890, Louisa married John M. Braun, son of Peter and Elizabeth (Uhleman) Braun. Between 1892 and 1912, they had ten children. John passed away in 1936 and Louisa in 1948. You can view information regarding their children on my Braun Family page at this link. More documents and information about the Kahlig Family can be found at this link. 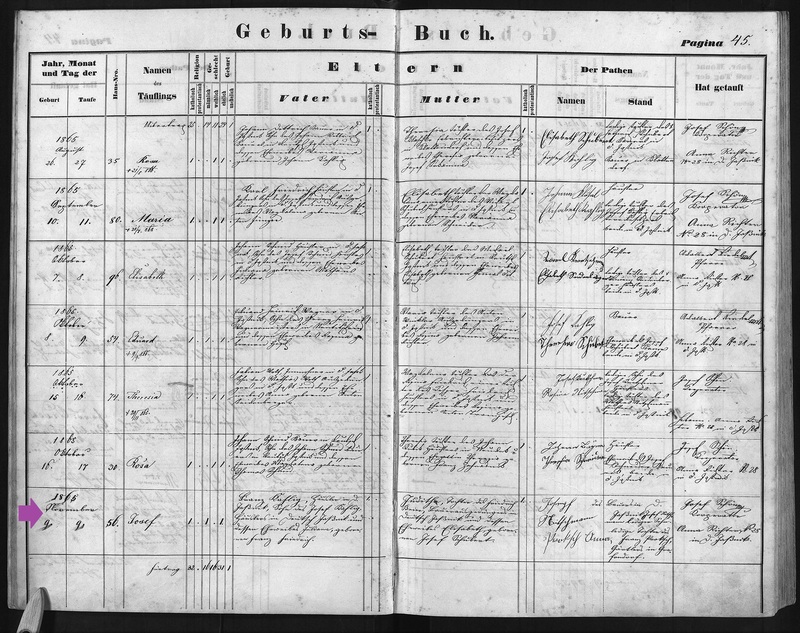 Baptism Record Source: FamilySearch.org, Czech Republic Church Books, 1552-1963, Catholic, Novy Jicin, Jesenik nad Odrou, Baptisms 1858-1896 (vol 2049), Image 84/274. 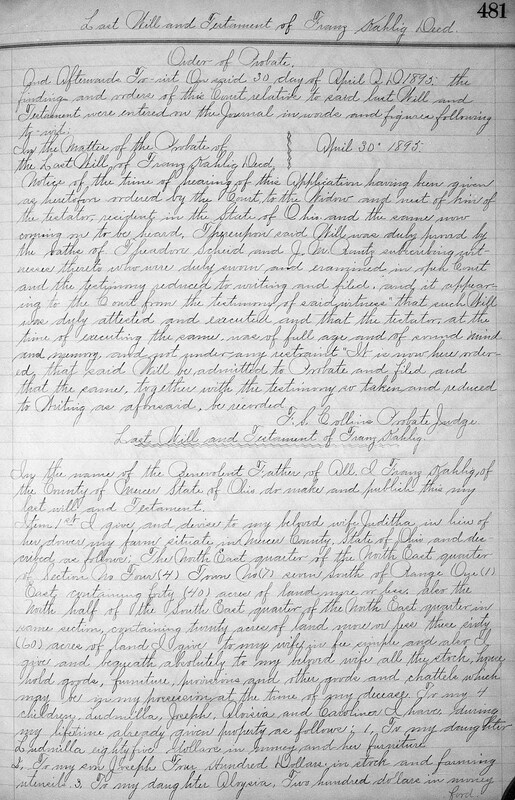 Marriage Record Source: FamilySearch.org, Czech Republic Church Books, 1552-1963, Catholic, Novy Jicin, Jesenik nad Odrou, Marriages 1836-1871 (vol 2038), Image 61/93. 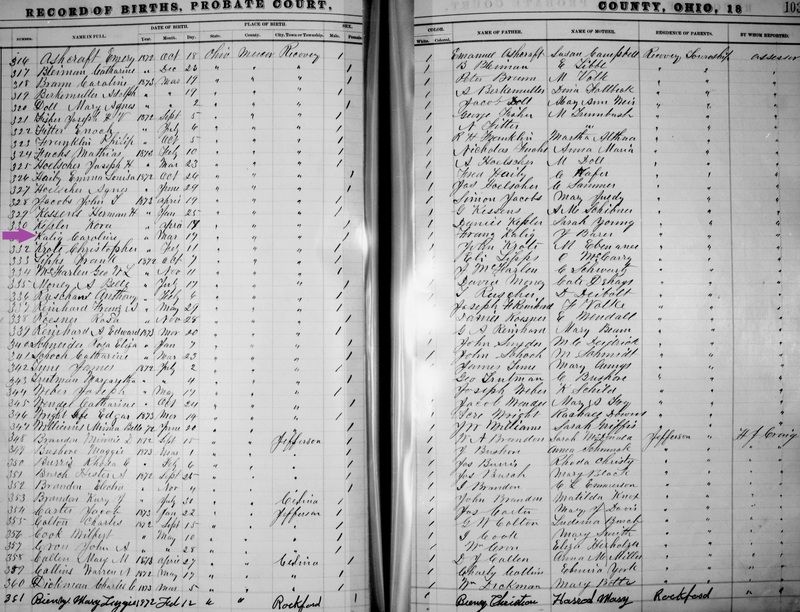 Although the ship manifest indicates that their destination was Indiana, the Kahlig family ended up settling in Recovery Township, Mercer County, Ohio. The township itself actually shares a border with Indiana, so they were, in fact, very close to Indiana. 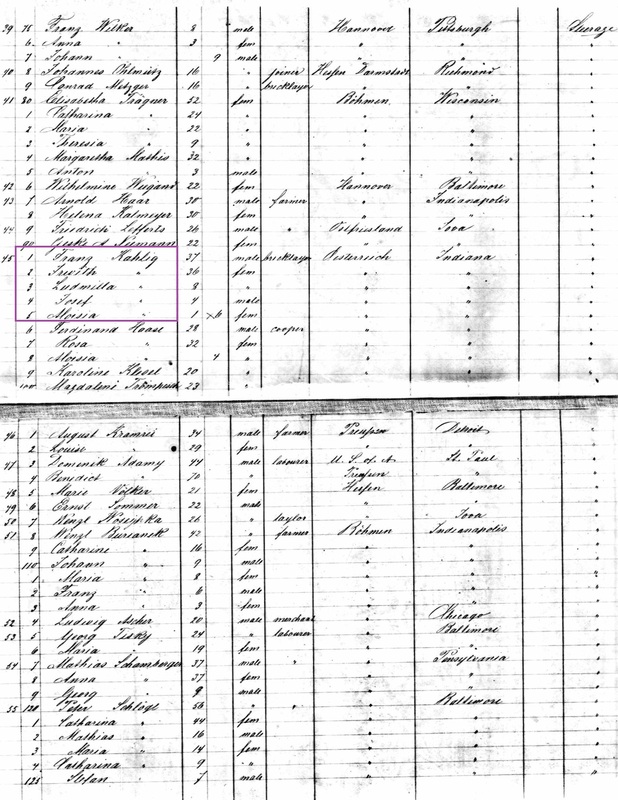 The family's eldest child, Ludmilla, had already married and had a child by the time this census was taken. Her husband was John Spangler and they were living in the same township as her parents. (She and her husband later moved their family across the border to Adams County, Indiana.) Ludmilla adopted the more common first name of 'Amelia' and is referred to as both 'Emma' and 'Ludmilla' in her father's will. According to the 1880 U.S. Agriculture Census, the Kahlig family owned a relatively small farm - a total of 40 acres, with 20 acres being used for production. They had three horses, two milking cows, six swine and, eighty poultry. They grew Indian corn, oats, and wheat. Between 1880 and Franz's death in 1895, twenty more acres of land was added to the farm, as, in his will, Franz explicitly describes the location of sixty acres of land to be given to his wife, Juditha, upon his death.